Robot Operating System, or ROS, is one of the most popular software frameworks for modeling, simulating, and prototyping robots; but it can be tricky for newcomers. 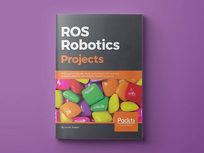 Loaded with more than 14 ROS projects, this eBook will help you get your feet wet as you walk through building a self-driving car, creating an autonomous mobile robot, and even tinkering around with image recognition and deep learning. Lentin Joseph is an author and robotics entrepreneur from India. He runs a robotics software company called Qbotics Labs in India. He has 7 years of experience in the robotics domain primarily in ROS, OpenCV, and PCL. 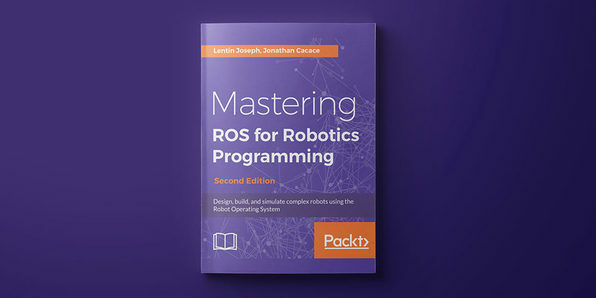 He has authored four books in ROS, namely, Learning Robotics using Python, Mastering ROS for Robotics Programming, ROS Robotics Projects, and Robot Operating System for Absolute Beginners. He is currently pursuing his master's in Robotics from India and is also doing research at Robotics Institute, CMU, USA. Building and programming a fully functional robot sounds complicated, but Robot Operating System (ROS) makes it much simpler. 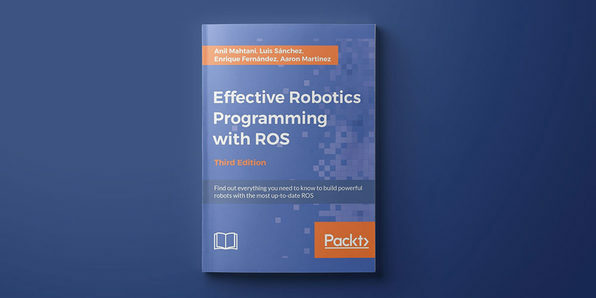 Ideal for ROS newbies, this eBook is packed with This book is packed with hands-on examples that will help you program your robot and give you complete solutions using open source ROS libraries and tools. 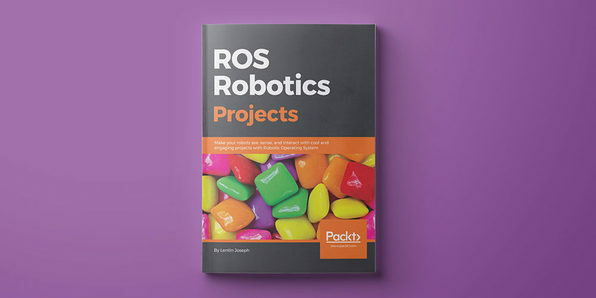 You'll start with the ROS basics, then move on to sensors and actuators, navigation, mapping, and more until you're ready to create your own robot. Anil Mahtani is a computer scientist who has dedicated an important part of his career to underwater robotics. He first started working in the field with his master thesis, where he developed a software architecture for a low-cost ROV. Aaron Martinez Romero has an MSc in Computer Science from the ULPGC with a background in mechatronics, tele-robotics, and tele-presence systems. 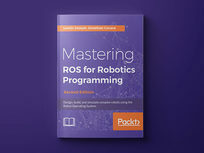 Famously functional and used at virtually every level in the robotics field, Robot Operating System, or ROS, is a worthwhile addition to your robotics toolbox. 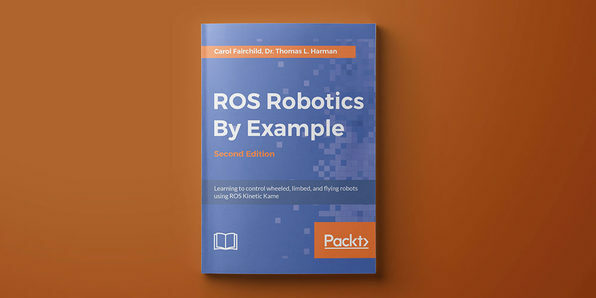 Updated to the Kinetic Kame release, this second edition of ROS Robotics will help you come to grips with ROS' new features as you walk through step-by-step examples, including manipulator arms and flying robots. 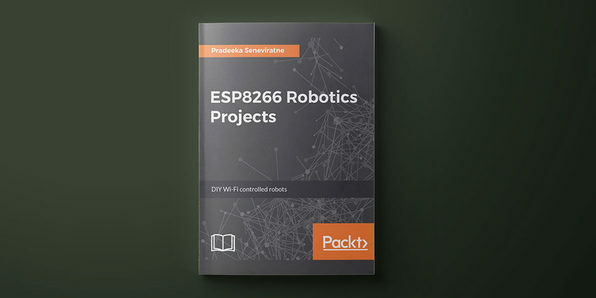 By the end of the eBook, you'll have concrete experience controlling robots with ROS. Carol Fairchild is the owner and principal engineer of Fairchild Robotics, a robotics development and integration company. She is a researcher at Baxter's Lab at the University of Houston–Clear Lake (UHCL) and a member of the adjunct faculty. Her research involves the use of Baxter for expanded applications. Dr. Thomas L. Harman is the chair of the engineering division at UHCL. His research interests are control systems and applications of robotics and microprocessors. Several of his research papers with colleagues involve robotic and laser applications in medicine. In 2005, he was selected as the UHCL Distinguished Professor. 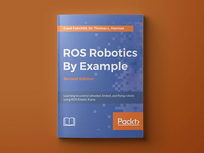 Your Robot Operating System (ROS) education wouldn't be complete without this comprehensive eBook. 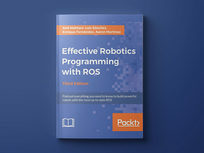 Focusing on the Kinetic Kame ROS release, this eBook discusses advanced concepts you'll need to know when programming with ROS. You'll learn how to build models of complex robots and simulate and interface them using the ROS MoveIt! motion planning library and ROS navigation stacks. Jonathan Cacace was born in Naples, Italy, on December 13, 1987. He received his Master’s degree in computer science, and a Ph.D. degree in Information and Automation Engineering, from the University of Naples Federico II. Currently, he is a postdoc at the PRISMA Lab of the University of Naples Federico II. He is involved in different research projects focused on industrial and service robotics in which he has developed several ROS-based applications integrating robot perception and control. With powerful processing and storage capabilities, the ESP8266 Wi-Fi module is ideal for just about any Internet-connected project. 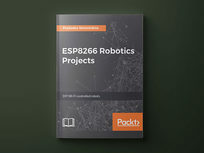 This eBook covers robotics projects based on the original ESP8266 microcontroller board and some variants of ESP8266 boards. You'll start with a look at setting up your development environment with basic hardware and software components. Then, you'll learn how to use various chassis kits, motors, power supplies, sensors, and more to build Wi-Fi-controlled robotics projects. Pradeeka Seneviratne is a software engineer with over 10 years' experience in computer programming and systems design. He is an expert in the development of Arduino- and Raspberry Pi-based embedded systems. Pradeeka is currently a full-time embedded software engineer who works with embedded systems and highly scalable technologies.